Problem is, he says in interviews that he nearly lost his voice trying to sing like this, had a crisis and it was not until he met his teacher that he was able to discover his true voice, which is the way he sings now. Yes I read that too. His voice sounded so free and unforced here, it's hard to believe that it was causing him such problems. For me this one at the moment. And the new album ( You are the world to me) is a bit of fun . I was fortunate enough to attend one of the Chicago Lyric Opera performances of Manon when he sang Des Grieux. I love his rendition here of "En fermant les yeux." I'm also happy to say I was in the audience when he made his Met debut -- an event he regards as one of the most significant events in his career. His voice is quite different on there from the clip I posted above. And it was even darker in Manon Lescaut in the summer. February, 2006. I think it was 4 February, but I'd have to dig out my program and check the date to be certain. I remember the audience going absolutely nuts when he took his curtain call. I bet they did! How fabulous to be there when he made his debut. A friend of mine was lamenting only last night how long it's been since there was really great new recording of Aida (the most recent studio set, under Nikolaus Harnoncourt, was made almost 15 years ago), so was delighted to learn that Antonio Pappano has literally just finished recording the work in Rome, with the Orchestra e Coro dell’Accademia di Santa Cecilia and a veritable dream-team of soloists: Anja Harteros and Jonas Kaufmann, whose collaborations in La forza del Destino, Il trovatore and Don Carlo have won plaudits galore, are the doomed lovers, with Ludovic Tézier as Amonasro, powerhouse young Russian mezzo Ekaterina Semenchuk as their nemesis Amneris, and Erwin Schrott as Ramfis. Due for release on Warner this autumn. "Oh friend!" Katherine cried, tears streaming down her face. "Oh Katherine!" wailed the friend, who was also visibly shaken, her face red and wet also from a tearful evening. They were both lamenting over how long it had been since there was a really good recording of Aida. Waaayyyy too much baroque opera recently, Clayton. They're going to make us wait until autumn??? It is uncanny how many similarities there are in the development and repertoire between Kaufmann and Jon Vickers. Vickers had the same problem with his voice early on after singing for a couple of years at Covent Garden, he had to have an operation to remove nodules from the vocal chords and afterwords he began to sing in a totally different manner, covering the voice where neccessary instead of singing open all the time. Kaufmann's voice would not have lasted much longer had he not changed his style of singing. Now he has entered the Spinto/Heldentenor catagory and like Vickers has picked certain roles, while leaving others wisely alone. He sang Walther in Meistersinger once and then never again (Edinburgh Festival 2006 concert performance), the tessitura being consistently too high. Melchior also could and would not sing Walther. As for JK, I am looking forwards to hearing him in Dortmund in April, his operetta tour. I can also say as an advance notice that the Aida release in Summer/Autumn will be something special. I am listening to one of the live performances as I write this - he is tremendous as Radames(another Vickers role) Harteros is no slouch either - I am listening to Act 3, where else. Back to JK, he managed one feat that no one since the days of Jean de Reszke has managed. The ability to sing Faust and Siegmund at the same point in his career. Both extremely well. 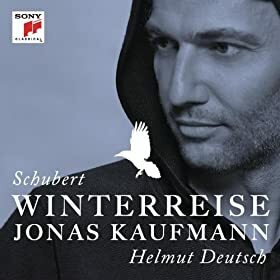 His Winterreise is a wonderful interpretation. Keep your eyes on the TV schedules in Europe this summer. It is planned to televise the Cav&Pag from Salzburg in which Kaufmann will be singing both. Nice post, BG. Interesting similarities in the development and repertoire of Kaufmann and Vickers, especially since otherwise their voices seem to have such differing qualities.